Today I made pizza dough again. I’ve let 3/4 of the dough to proof overnight in the fridge. When you let the dough to proof overnight in the fridge, it definitely tastes better. 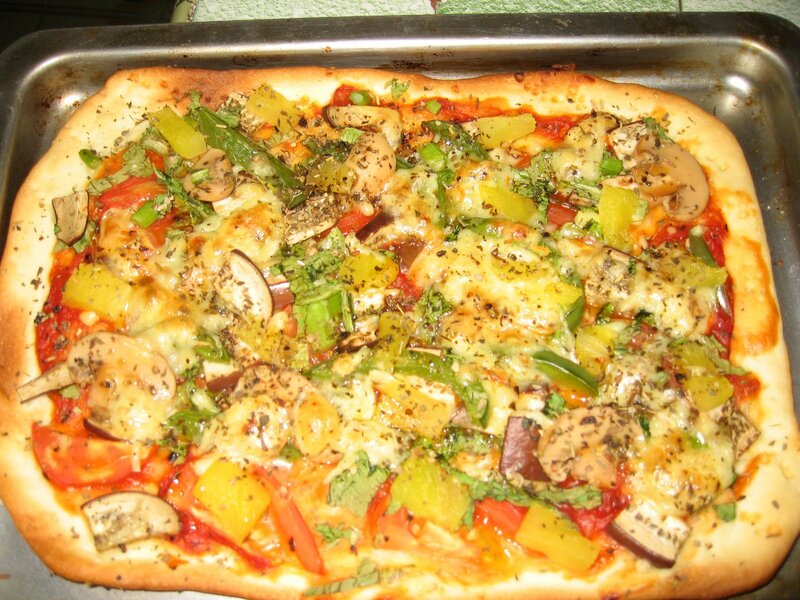 This time I added chopped pineapples and capsicum for the topping. My grandfather made sure he stayed back to try the pizza.